I've seen this at least once before, so I though I'd document it. 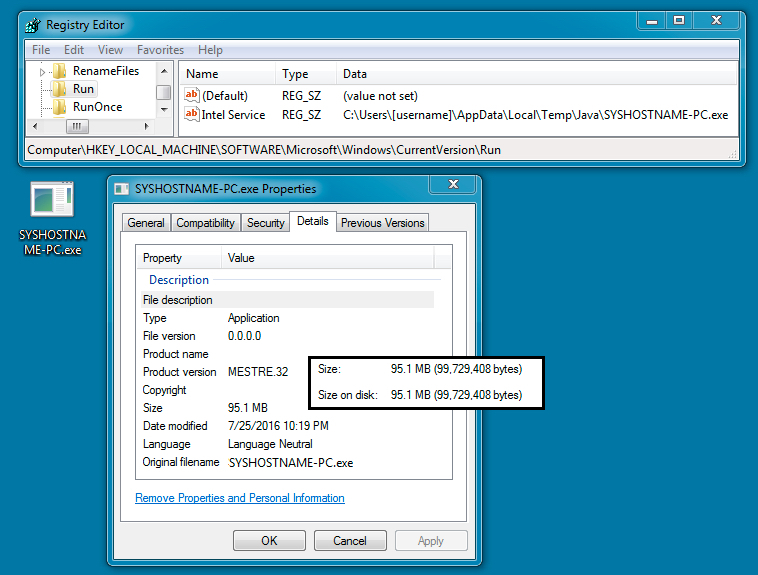 You'll need to run the .vbs file in a test environment or sandbox to get samples of the dropped .dll and .exe files. Shown above: Some headers from the email. Shown above: .vbs file hosted on 4shared.com. Shown above: A pop-up windows that appears at some point after running the .vbs file. Shown above: The SYS[hostname].exe file persistent on the infected host.